Golf GPS systems lets players gauge distance, depth and slope on the golf course. 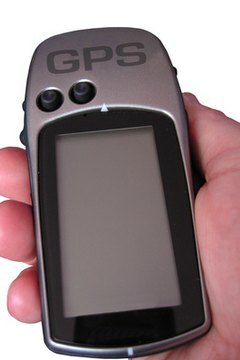 Global positioning system tracking has become quite popular in the game of golf. Such GPS systems allow players to gauge distance, depth and slope in determining what club to use on a particular shot, where to aim and how hard to swing. Of course, GPS brings with it plenty of terms that may be foreign to GPS novices, among them, "track angle." As GPS devices are concerned, the track angle is the direction that the vehicle (golf cart) is moving in, as opposed to the direction it is pointing in. The track angle is also derived from velocity and is the same angle that GPS puts out. In all actuality, the track angle has little to no relationship with the direction the vehicle is pointing in. This term is important from a golf perspective, as golfers can adequately use a GPS system to gauge a track angle regardless of which direction they're cart is pointing in. This is important especially when a cart is in reverse or skidding, as these will cause a divergence in the direction a cart is travelling and the direction it is pointing. The accuracy of the track angle is determined by speed, mostly because with velocity accuracy being fixed, the faster a golf cart is moving, the more accurate its GPS track angle becomes. At its most accurate, the track angle is accurate to approximately .05 degrees at roughly 31 miles per hour, quite a bit faster than most golfers travel on the golf course. In reference to the track angle, "track" is defined by Satellite Navigation and Positioning Lab as the direction of movement relative to ground position. It is commonly associated with navigation applications, such as GPS. Golf GPS systems are designed primarily to help players gauge distances, as well as the lay of the course, particularly greens. Some courses are better fits to use GPS systems than others, while courses with lots of trees are not as suitable. This is because GPS systems work best when presented with a clear view of the sky. While players can purchase their own GPS system, some courses offer them. Course-owned systems offer a ton of opportunities for course managers. They allow course managers to remain in contact with all players, as well as tracking them and being aware of what is happening on the course. Also, some allow players to order food and drink via the GPS systems. They also aid in determining weather forecasts and updated news and sports information.